You know it’s going to be a good birthday when your moto-loving better half asks you to close your eyes and leads you out the front door towards the driveway. But there’s always that nagging doubt. What if, in your heart of hearts, you don’t like the surprise bike? 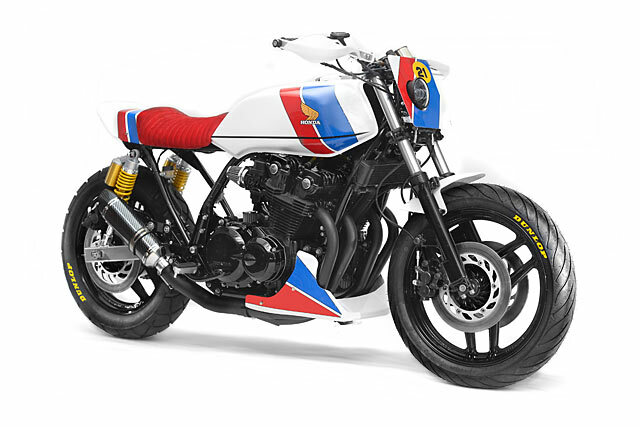 There’s no accounting for taste, and that goes double for us know-it-all custom bike ‘experts’. But there’s one thing for sure, if anyone with a skerrick of taste found this red, white and blue bad boy in their driveway come their birthday morn, they’d be one seriously happy camper. And that’s just what happened, thanks to Michael Mundy and his Florida-based Steel Bent Customs. There is a famous quote that goes something like this. “No one ever achieved greatness by playing it safe.” And yet for the vast majority of us, we play it safe all of our lives. We stay at the job we don’t love because it pays the bills. We eat the same foods. We take the same road to work and we go to the same draw of clothes day in and day out. 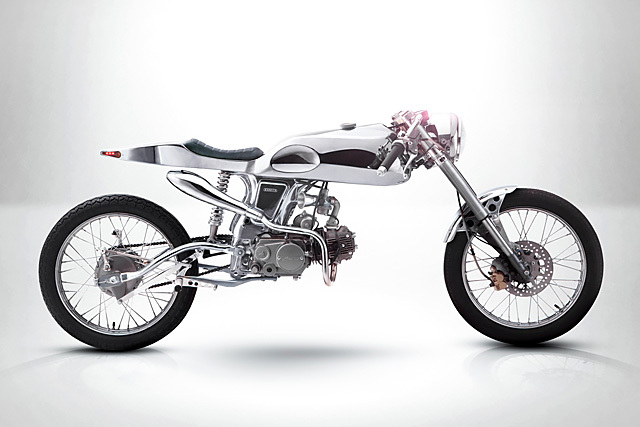 This is where the custom motorcycle scene plays a significant role in the lives of many. It’s where they throw off the shackles, live on the wild side and do things differently with a license for freedom they don’t normally afford themselves. 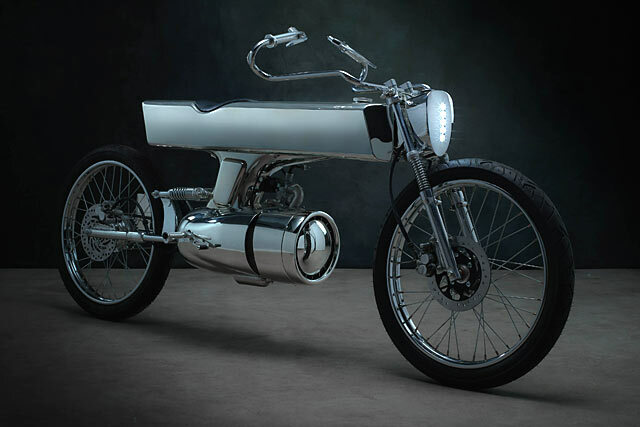 But one man takes that freedom even further; he pushes the limits of motorcycle design so far his inspiration is actually drawn from art, sci-fi films and a desire to reach the ultimate Zen state of mind. Daryl “Dazza” Villanueva of Bandit9 is back and his latest limited production run machine, known as EDEN, is the ultimate expression of not playing it safe. Not every project is a smooth one, they can start and be halted for months at a time, life gets in the way, parts can be hard to find and when you finish you can still be left with doubts as to whether you’ve achieved your goal. 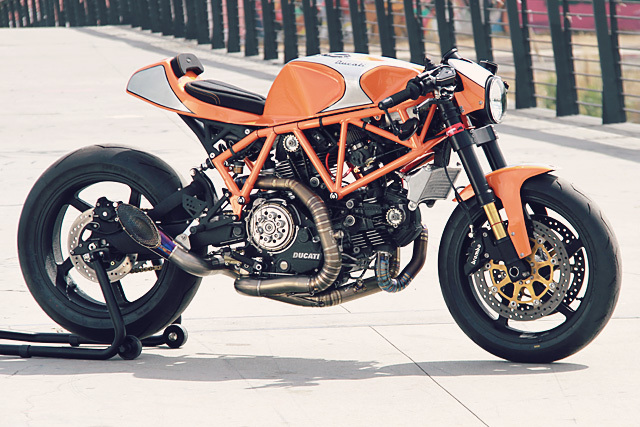 So after years of preparation there could be no more intimidating place on the planet to debut your custom Ducati than at the annual World Ducati Week amongst the fanatical Ducatisti. But Marco Graziani needn’t have worried as his CC Racing Garage custom cafe racer took out the top prize in the Ducati Garage Contest at the 2016 WDW and also took home the trophy from the riders’ jury, consisting of Davide Giugliano, Danilo Petrucci and Eugene Laverty, who presented him with the sought-after Ducati riders’ award. It might have started life as a 2001 Ducati 900SSie, but plenty of other Bologna bombshells have donated their parts to bring this trophy winner to life.